The Investment Canada Act, Revised Statutes of Canada 1985, Chapter 28, restricts foreign investment in Canada under certain circumstances. While not specific to shipbuilding, it empowers the government to prevent foreign investment that is not of net benefit to Canada or where an investment by a non-Canadian could be injurious to national security. To date, this legislation has been invoked twice (in 2008 and 2010), to block or restrict the sale of a space division of a large technology company and the hostile takeover of a mining company. The powers of the government under this legislation could conceivably be employed to restrict foreign participation or investment in the existing Canadian shipbuilding industry. The Act provides for criteria to be taken into account in considering whether the investment will be of net benefit to Canada. The Act requires notification of investments by non-Canadians to establish a new Canadian business and to acquire control of a Canadian business, with certain specified exemptions. Accordingly, the provisions extend not only to investment in the existing Canadian shipbuilding industry but to establishment of a new operation within the industry. Transactions that are subject to review have different threshold levels. Direct investments are subject to review where they are over C$5 million, and the threshold for indirect transactions is C$50 million. Investors from World Trade Organization (WTO) member countries are subject to a higher threshold, which is set annually. For 2018 the threshold is C$398 million for investors that are WTO state-owned enterprises, and C$1 billion for WTO investors that are not state-owned enterprises. Innovation, Science and Economic Development Canada is the department responsible for administration of the Act and sets the WTO member threshold. The Canadian government does not currently own or operate any shipbuilding facilities. There are no statutory formalities that must be complied with in entering into a shipbuilding contract. However, it would be highly unusual for a shipbuilding contract in Canada not to be in writing. Parties may, and would be prudent to, select the law applicable to their contract. Commonly, shipbuilding contracts in Canada specify that they will be governed by the laws of the province in which the shipyard is located and the federal laws of Canada applicable therein. The parties are, however, free to specify any law that they wish. Choosing a governing law that is different from that of the jurisdiction applicable to dispute resolution will, however, create an added complication with resulting uncertainties. Courts will generally adhere to the parties’ selection of governing law provided the selection has been made in a sufficiently clear manner. Where the governing law is not selected or is insufficiently clear, the common law test is that the applicable law will be determined by referring to the system of law with which the contract has its closest and most real connection. In expressing a choice of law, the parties should be careful to avoid the possibility of renvoi, which in Canada is the likely result unless the parties choose a law without regard to governing rules of private international law. A shipbuilding contract could be construed as either a contract for sale of goods or a contract for the supply of workmanship and materials, depending on the drafting and nature of the contract. In most cases, a contract for the construction and delivery of a vessel will be a contract for sale of goods. Sale of goods legislation codifying the common law principles is present in most Canadian provinces and would be applicable to a shipbuilding contract. In particular, such legislation prescribes implied conditions and warranties with respect to merchantability and fitness for intended purpose. The parties may, and most builders do, expressly exclude the application of the implied conditions and warranties in favour of express warranties in the contract. A hull number is unnecessary for contractual purposes. However, Canadian shipyards commonly assign a hull number for their own identification purposes. A vessel under construction may be temporarily recorded in the Canadian Register of Vessels, usually to allow a builder’s mortgage to be registered, at which time it must be assigned a hull number or temporary name. The use of approximate dimensions would be unusual in a Canadian shipbuilding contract, and if used the parties are likely to specify a range within which the builder can construct. There is no legal test in Canadian law as to how much latitude a builder has if a dimension is specified as approximate. The latitude afforded by the use of an approximate dimension is likely to be a question of fact to be determined in the context of the particular circumstances. Minimum standards of performance are commonly included in Canadian shipbuilding contracts, with remedies for the buyer where the standards are not met. For critical standards or significant failure, rescission or termination is often provided, and in other cases liquidated damages are common. The enforceability of liquidated damages provisions is subject to the comments under question 26. There are no trade standards for coating, noise or vibration; buyer’s needs on these (and any other) performance issues, if agreed by the builder, will be set out in the contract (or more usually, the specifications). On the subject of coatings, it is noted that the Anti-fouling Systems Convention 2001 is adopted in Canadian law, applying according to its terms to existing ships as well as newbuildings. The parties may incorporate statutory provisions by reference into the contract. For example, the buyer may wish the vessel to be constructed in accordance with certain regulatory requirements under the Canada Shipping Act 2001. These requirements, where necessary, would typically be included in the specifications. The Marine Safety Directorate of Transport Canada has overall responsibility for establishing and implementing standards and inspection for ships built in Canada. The international conventions with standards applicable to construction of ships are incorporated into the Canada Shipping Act. Some of its regulations, such as the Hull Construction Regulations, CRC, chapter 1431, impose obligations on shipbuilders. Canadian courts will interpret standards stated in a shipbuilding contract, but no standard of general application has been established by Canadian courts. In theory, the classification society would owe a duty of care to a buyer. However, to date no Canadian court has found a classification society liable to a buyer for its errors. In matters of maritime law, English jurisprudence is often persuasive and the House of Lords case of Marc Rich & Co AG v Bishop Rock Marine Co, (The Nicholas H),  2 Lloyd’s LR 299 (HL), where the court expressed a reluctance to impose a duty of care toward third parties because classification societies act for the ‘collective welfare’, would likely influence the position adopted by Canadian courts. calculate the tonnage of vessels on behalf of the Minister of Transport. The owner of a vessel under construction, which may be the builder or the buyer, may temporarily record the vessel in the Canadian Register of Vessels by filing a Form 15, description of vessel under construction with the registrar. Recording the vessel is necessary in order to permit a builder’s mortgage to be registered. The registrar will assign a record number to the vessel. The vessel is not considered registered under the Canadian flag at this stage. Within 30 days after completion of the construction of a recorded vessel, the person in whose name the vessel is recorded shall notify the chief registrar of that fact and of the name and address of its owner. Both recorded and registered vessels are subject to certain incident or accident reporting requirements of the Canada Shipping Act. Canadian shipbuilding contracts may specify when title passes, whether at a point in time or progressively. The usual provision is that title passes upon delivery, commensurate with payment of the contract price. In such a case, the common practice is to specify in a protocol of delivery and acceptance the exact date and time that title passes. Where the buyer is obtaining financing for the construction, it is not unusual for progressive passing of title to the buyer, but the builder will often require security for payment in this situation. The earliest stage at which title can pass is usually when the keel is laid. Prior to that, title would be in the materials and components. Canadian shipbuilding contracts may specify when risk passes. Where silent on this point, risk would pass with the title. Because of the need for insurance clarity, most Canadian shipbuilding contracts provide for passage of risk on delivery, with the precise date and time specified in a protocol of delivery and acceptance. Absent any contractual restrictions, a shipbuilder may subcontract part or all of the contract, though it remains liable for its contractual obligations. Canadian shipbuilding contracts typically provide for some restriction on subcontracting, either by pre-approval of certain subcontractor or a requirement to seek approval prior to subcontracting. This requirement is sometimes combined with specified thresholds (by type of work or amount involved) below which consent is not required. In any event, the shipbuilder remains liable to the buyer for subcontracted work. Whether to include reference to major suppliers or subcontractors in the contract is a matter for negotiation between the builder and the buyer, and although entirely permissible, doing so does not amount to ‘custom’ in Canada. There is no statutory obligation to inform a buyer of the source of vessel components. However, Canadian shipbuilding contracts often specify that the vessel must be built at the builder’s shipyard (in Canada). It is also usual practice for the shipbuilding contract to specify the manufacturer of major components, such as the engines. Underlying these requirements is a need for buyers to know that a vessel was built in Canada for the purposes of registration, and certain restrictions imposed on foreign-built vessels, such as the obligation to pay duty or compliance with domestic coasting trade legislation. No. This is usually addressed in the change provisions of the contract. A Canadian contract may be voidable where consent was induced by economic duress. In determining whether there was undue duress, influence or coercion, the court will consider the relationship between the parties, the circumstances at the time duress was alleged and the subsequent conduct of the party claiming duress. In this respect, the party alleging duress may be considered to have ratified the agreement if it continues without protest after the duress has ended. Where a party considers itself to be under economic duress, it would be prudent to note that any agreement is under protest and to assert any related claim at the earliest possible opportunity. Yes. However, it would be unusual in a Canadian shipbuilding contract for a buyer to entirely forgo all of these rights. There are no statutory or other types of rules with respect to the form or wording of refund guarantees. Refund guarantees issued for Canadian shipbuilding contracts generally follow the standard international forms of guarantees. Permission is not required from any authority for the builder to have refund guarantees issued. There are no formal requirements for issuance of advance payment guarantees and parent company guarantees. However, some provinces’ laws require third-party payment guarantees to be in writing, and in practice such guarantees are always in writing. There is no requirement that guarantees be signed under seal or notarised, though this often forms part of the due diligence undertaken by the party requiring the guarantees in order to assist in confirming authority and authenticity. In most cases, the party requiring the guarantees will also require further proof of authority in the form of appropriate resolutions and review of the constating documents of the issuer. The owner of a vessel under construction, which may be the builder or the buyer, may temporarily record the vessel in the Canadian Register of Vessels by filing a Form 15, description of vessel under construction with the registrar. Recording is necessary in order to permit a builder’s mortgage to be registered. The registrar will assign a record number to the vessel. A builder’s mortgage may then be registered against the vessel by the owner filing a Form 16, builder’s mortgage. Depending on the contractual and financing arrangements, the owner could be the builder or the buyer. The statutory form of builder’s mortgage provides only limited information about the mortgage, and typically references a deed of covenants or other form of agreement where comprehensive terms and conditions are contained. The latter document is not filed with the registry. This will, in most cases, depend on the wording of the contract. Where the buyer provides the design, the builder will usually exclude liability for design. Where the builder is also the designer, the contract will typically specify the design warranty and any limitations. Absent an express warranty or exclusion, where the builder was the designer of the vessel, it will be liable to the buyer for defective design. Claims for economic loss by third parties present a particular challenge. In order to meet the requirements of general negligence law, a claimant will need to demonstrate that the builder owed it a duty of care, breached the standard of care and that the injury was foreseeable as a result of the builder’s actions. While Canadian courts have in some cases found a prima facie duty of care owed to certain third parties (for example, a rig owner in Bow Valley Husky (Bermuda) Ltd v Saint John Shipbuilding Ltd,  3 SCR 1210), the policy concerns with respect to indeterminate liability usually bar recovery by third parties against the shipbuilder. Canadian courts will not enforce a liquidated damages clause that is found to be a penalty clause. In this respect, to be enforceable, a liquidated damages clause should reflect a genuine pre-estimate of damages that would be occasioned by the particular breach. The use of the term ‘liquidated damages’ or a statement that it is a ‘genuine pre-estimate’ will not avoid a determination that the clause is a penalty. where a single lump sum amount is payable as liquidated damages, on the occurrence of one or more of several events, and these events are of varying levels of seriousness, there is a presumption that the amount is a penalty. As a general rule, a liquidated damages clause that meets the above requirements will operate as a ceiling on the amount of damages recoverable for the applicable breach. As a general rule, a liquidated damages clause in a ship construction contract will operate as a ceiling on the amount of damages recoverable for the applicable breach absent express provision to the contrary. The courts will look to the construction of the contract for intention, but liquidated damages clauses in Canadian shipbuilding contracts are typically drafted so that they are the buyer’s exclusive remedy for delay. The parties may specify force majeure provisions in the contract. It would be unusual for a Canadian shipbuilding contract not to provide detailed force majeure events. Shipbuilders and buyers have access to umbrella or project-based insurance. Where the contract provides for resolution of such a dispute by arbitration, arbitration can be used to resolve such a matter. However, where parties cannot agree on a change to a contract or modification to the specification, it is doubtful that a court would impose a change upon the parties. If the dispute is with respect to the meaning of a key term of the contract or specification, courts or arbitral tribunals will resolve the meaning. Courts will also imply terms into a contract where it is necessary to the contract’s commercial efficacy. The role of the protocol of delivery and acceptance is governed by the terms of the contract. In this respect, the usual purpose of such a protocol is to record agreement by the parties as to the time and date that risk passes for the purpose of insurance and title, if the contract provides that title passes on delivery. Canadian shipbuilding contracts will typically include detailed provisions for delivery and acceptance of the vessel, as well as transition to the builder’s warranty obligations. A supplier or subcontractor to the shipbuilder does not have a lien over the vessel. Provided that the builder is still the owner of the vessel, the supplier or subcontractor would have the ability to arrest the vessel in the Federal Court as security for its claims against the builder, referred to as a statutory right in rem. This is particularly important because the claims of the supplier or subcontractor against the vessel will not survive change of title of the vessel to the buyer. Suppliers or subcontractors to the builder have in common law a possessory lien enabling them to retain possession of work or equipment ready to be incorporated in the vessel for any unpaid invoices. Once this work or equipment is delivered to the builder, the possessory lien is lost. There is no implied term or statutory provision that at the time of delivery the vessel shall be free from all liens, charges and encumbrances. However, the statutory form of bill of sale used by the Canadian Register of Vessels includes the statement that the ship is ‘free of encumbrances except as appears on the register of the vessel’. A similar warranty is commonly given by the builder in a shipbuilding contract. Suppliers will often reserve title under their contracts until payment is made. Affixation to or incorporation in the vessel will not necessarily defeat a claim by the supplier. This may be determined largely by the extent to which the materials or equipment are removable or no longer retain their independent character. Provincial sale of goods legislation typically has a provision that a shipbuilder, as a buyer in possession of the goods, may sell the goods and pass title to the ultimate vessel owner. This would leave the supplier with a claim for damages against the builder, but not against the ultimate buyer of the vessel. Where the third party is a creditor of the builder and the builder has title to the incomplete vessel, then the creditor generally is entitled to enforce its contractual security interests in the property of the builder including the vessel under construction. For this reason it is prudent for the buyer that has not yet taken title to hold security, such as a third-party refund guarantee, for repayment of advances on account of construction. The Canadian Admiralty Court has recently upheld the validity and enforceability of a builder’s mortgage made in favour of the buyer to secure repayment of advances: Offshore Interiors Inc v Sargeant 2015 FCA 46. A third-party creditor of the builder may take a security interest in the vessel by way of a builder’s mortgage (see question 23). Concerning equipment or materials not yet incorporated into the vessel, any enforcement of the creditor’s security rights would require demonstration that its debtor continues to be owner of that property, which in addition to issues of possession as discussed under question 33 would engage consideration of the contractual terms between that debtor and the builder. The ability to assign such warranties depends on the terms of the underlying subcontract, though contracts often require certain warranties to be assignable to the buyer or owner. There is no legislation that entitles a buyer to make a direct claim under the subcontractor’s or manufacturer’s warranty. Requirements to give notice of default and to provide opportunity to cure default exist only if the contract so stipulates. the right to call upon any guarantees or performance security provided by the builder to the extent of the costs to complete the vessel or in respect of damages claimed. In theory, specific performance is available as a remedy but it would be unusual for a court to compel a builder to complete a vessel. The owner’s primary remedy is to terminate and claim damages. Only the rarest of situations would justify an order of specific performance, likely only where the vessel was so unique that it could not be completed or acquired elsewhere. Non-performance remedies are found within the contract and are usually provided in detail. Other than the usual common law contractual remedies, there would be no other remedies available to the buyer for protracted failure to construct or continue construction. Yes. 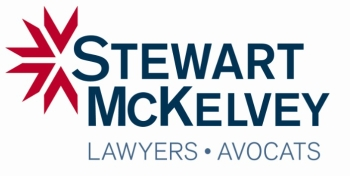 Contractual rights of termination on builder’s default, which typically would be defined to include builder’s insolvency, are enforceable in Canada. Certain Canadian insolvency statutes provide for suspension of creditors’ rights to enforce security and to proceed with litigation of claims while judicial proceedings before the insolvency court are pending. These statutes may impede the buyer’s contractual rights of termination, or may introduce practical complexities making it unattractive to the buyer to exercise such rights. Concerning forms of security available to buyers against risk of builder insolvency, see question 34. Arbitration clauses are often provided in Canadian shipbuilding contracts. Such clauses sometimes refer to the Association of Maritime Arbitrators of Canada, but more often to the commercial arbitration legislation of the province in which the shipyard is situated. Some provinces also have an International Commercial Arbitration Act modelled on the Model Law on International Commercial Arbitration, though it is unusual for a Canadian shipbuilding contract to utilise this for arbitration. Alternatively, the parties are free to agree to foreign (a non-Canadian seat of) arbitration if they see fit. There are no specialised admiralty courts in Canada. However, many judges of the Federal Court of Canada have some level of expertise in maritime law. By virtue of section 22(1) of the Federal Courts Act, the Federal Court has concurrent original jurisdiction with the provincial courts in all cases where a claim for relief is made or a remedy sought with respect to Canadian maritime law or any other law of Canada coming within navigation and shipping. The scope of Canadian maritime law has generally been accepted to include contracts for the sale of ships and claims between shipowners and shipyards. However, because of the concurrent jurisdiction with provincial courts, claims involving shipbuilding contracts are often litigated in provincial courts. If title to the vessel under construction remains in the builder then in the event of bankruptcy of the builder that vessel, like all the builder’s property, is subject to liquidation for the benefit of creditors subject to the rights (if any) in that vessel of the builder’s secured creditors. The contractual rights of the buyer, with regard to the builder, would normally be subordinate to the security rights of secured creditors and the statutory rights of unsecured creditors. On a somewhat related topic, it is possible in theory in Canadian law for the buyer, prior to taking title, to hold a statutory builder’s mortgage on the vessel under construction (assuming agreement between the builder, the buyer and as a practical matter the builder’s other secured creditors); such an arrangement was held permissible in principle by Canada’s Federal Court of Appeal in Offshore Interiors Inc v Sargeant et al, 2015 FCA 46. Under such a scheme, and subject to the specific rights of the buyer secured by the mortgage (in this decision the court declined to decide whether non-financial obligations may be secured by a builder’s mortgage) and also to the rights of competing other secured creditors (if any), the buyer would be entitled to enforce its mortgage without regard for bankruptcy proceedings. For clarity however, buyer’s rights in that scenario derive from its status as a secured creditor and are only as extensive as the mortgage instrument may provide, and do not derive per se from buyer’s entitlements under the shipbuilding contract. Arbitration clauses are often provided in Canadian shipbuilding contracts. The parties are at liberty, but are not required, to stipulate antecedent ADR procedures such as mediation prior to initiation of arbitration. In cases of buyer default, the builder’s termination or other remedial rights, including consequences of builder’s termination of the contract where that right matures, would normally be stipulated in detail in the contract, and such contractual provisions will be enforced provided that they are clearly expressed. Subject to contractual stipulations, which if made will govern, the builder’s remedies would normally be damages for breach of contract, including the value of work performed but not yet paid, unrecoverable cost of materials or equipment reasonably pre-ordered but not yet incorporated into the vessel, and damages for lost profit. Although some portion of the amounts so recoverable could be secured by the builder’s possessory lien, Canadian law tends to restrict the amount so secured to the value of work actually performed. If the buyer is, at time of default, owner of the vessel under construction then the builder has under Canadian law a right to proceed in rem against and to arrest the vessel in respect of its claim. The Canadian shipbuilding industry generally uses bespoke forms of shipbuilding contracts, and there are no Canadian standard forms. An assignment must be in writing, and to be effective notice in writing must be given to the other parties of the assignment. Certain statutes provide that assignment must be absolute in that it cannot be contingent on an uncertain event. Absent contractual restrictions, a contract is assignable. However, Canadian shipbuilding contracts typically require consent for assignment in most situations, though often there are particular rights to assign the contract to lenders for the purposes of financing. A contractual prohibition of assignment by a party will prevent assignment by that party. Where assignment is not restricted, notice of an assignment to the other contracting parties is sufficient. Unless the contract provides otherwise, the assignor will not be relieved of its obligations under the contract. The typical means for relieving the original party and substituting a new party is a novation.